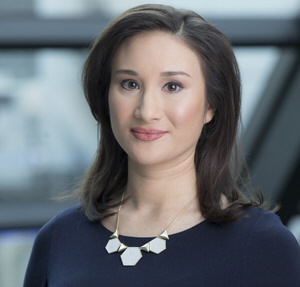 Nejra Cehic | Bloomberg Media Talent | Bloomberg L.P.
London-based Nejra Cehic anchors “Bloomberg Markets: Rules and Returns” on Bloomberg TV and Digital, and “Daybreak Europe” on Bloomberg Television. She reports on financial markets on a daily basis, regularly breaking news and providing in-depth analysis. Cehic has also covered big events from Brexit to the Greek debt crisis. Her numerous interviews include exclusives with Russian Central Bank Governor Elvira Nabiullina, FCA CEO Andrew Bailey and Man Group CEO Luke Ellis, as well as interviews with UK Labour Leader Jeremy Corbyn, South African Finance Minister Malusi Gigaba and Unilever CEO Paul Polman. Prior to joining Bloomberg, Cehic worked for the BBC. She has a PGDip in Broadcast Journalism from Cardiff Journalism School and a BA (Hons) in Classics and Modern Languages from the University of Oxford. She was shortlisted for an Asian Women of Achievement Award in the Media category in 2015 and named a We Are The City 2016 Top 100 Rising Star.